Mindfulness keeps us focused on the present, and helps us meet challenges head-on. Learning to control your anxiety or panic can be a challenge. Thankfully, Scott shares his tips on how to use mindfulness to control anxiety. 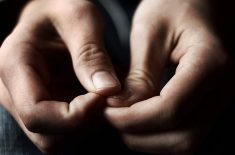 Mindfulness as a way to control and manage anxiety symptoms. Now, I suffer from anxiety, generalized anxiety disorder, and I get anxious from time to time over what seems like nothing. You wake up, you think about something, and the anxiety just pops up. You feel it in your body, your thoughts may race, you may shake a little, your heart’s beating faster, your palms are sweaty. This very uneasy, out-of-control feeling that you just can’t grasp can’t get a hold of it. Mindfulness, in my experience, is very hard to master. But the more you do it, the better you get at it. The next time you’re feeling anxious, I just wanted to mention a few things that I do that may help you when you’re experiencing these things. One thing, if you’re in motion, if you’re walking and experiencing anxiety, what we can do is mindful walking, or walking meditation, and every time your foot hits the ground, it’s about bringing attention to what’s happening in the present moment. That’s all mindfulness is. That’s all meditation is. What’s happening right now. And when you’re walking, what’s happening? Each foot is touching the ground, heel first, and then the middle of your foot, and as your toes curl up, I’m doing it right now with my foot, and then push off. And then the left foot, heel first, middle, I’m falling over, middle of the foot, toes curl and push off. And these are the things you can notice and feel, which melt away at least my anxiety, the better you get at it, because the attention goes from your mind, from these racing thoughts, from your heartbeat, and focus on your feet. That’s the beauty of the walking meditation. Focus on each step and maybe walk slower, so you can feel the motion. Once you get good at listening to your feet and feeling your feet, what are your knees doing? What are your arms doing? Are your fingers moving as you walk? Are your hands in your pockets? Are your elbows moving? How do they feel? Is your neck doing anything? These are the things we want to focus on and pay attention to while we’re walking. Now, that’s mindful walking or walking meditation. What about if you’re just sitting down and you become anxious? What about if I’m just standing here and I start feeling anxious? Well, we can bring out attention to the body and ask, what am I feeling right now? What am I feeling right now? And the big one that we can always point to bring us into the moment is our breath. Focus on your breath. Now, inhale through the nose, exhale through the mouth. Feel your lungs expand. And then contract. Right? So that’s what your lungs are doing, that’s what your breath is doing. It’s about changing your focus. So, instead of running away from the anxiety and trying to get rid of it right away, bring your attention to your body. Ask yourself, what am I feeling? If you’re walking, am I feeling this in my feet? What are my feet doing, what are my legs doing, what are my arms doing, what’s my neck doing? If you’re standing or sitting, okay, what’s my breath doing? What am I seeing, what am I smelling, what are my lungs doing, how does that feel? It’s all about where your attention is. 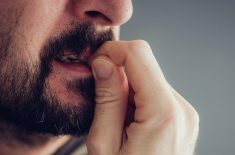 Anxiety symptoms can vary from person to person, but if your symptoms are persistent and unrelenting, you may have an anxiety disorder. 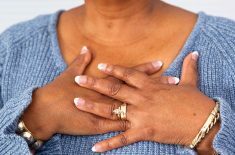 If you are absolutely sure that your anxiety and chest pain are related, this can be a great relief – your heart is healthy and anxiety is treatable. What is anxiety? Anxiety comes in many different forms, from panic attacks, anxiety attacks, phobias, PTSD to social anxiety. 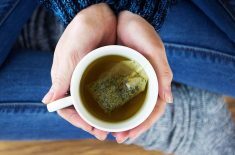 Chinese medicine has long used green tea to treat depression, but research finds that it’s also helpful in managing anxiety too.